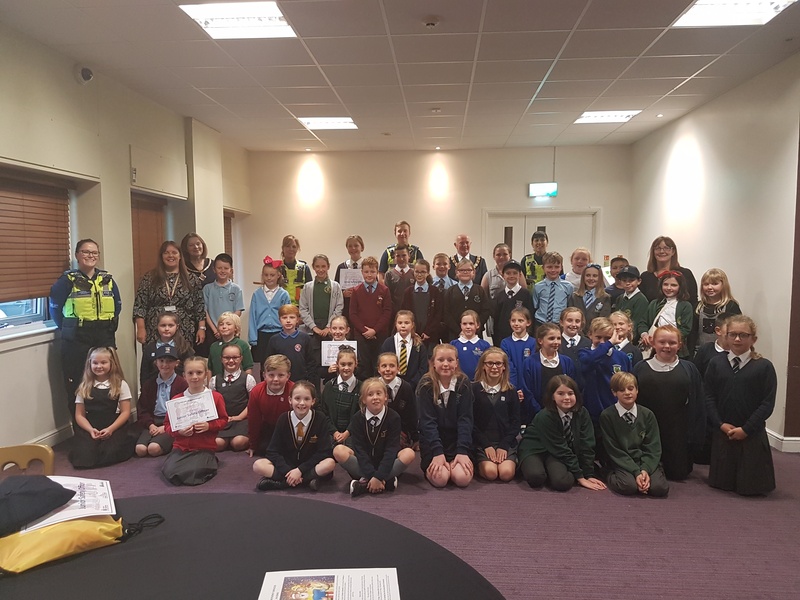 About 80 vigilant children from primary schools in the borough attended Halton Stadium, after being selected to be Junior Safety Officers for their school. A launch night was held on Wednesday where the children met the Mayor of Halton, shared ideas with pupils from other schools and were presented with certificates, Safety Officer badges and resources to carry out their new role within the school. Working in partnership with Cheshire Police and Fire and Rescue, Halton Borough Council’s Road Safety Team organised the event which enables the children to make a difference in their schools and home to raise awareness of staying safe in various areas such as road safety, home safety, personal safety, water safety, fire safety and internet safety. Pupils were also given a handbook to record to record their work which is used to judge the overall winner in July 2019 when trophies and a shield will be presented. The overall aim of the initiative is to communicate messages around the topics to the whole school in fun ways such as assemblies, short plays and competitions. They are tasked with highlighting different messages each month and setting up notice boards in their school. Last year’s winners from Oakfield Primary School, Sky Dunn and Joel Barnett addressed the audience and spoke about aspects they enjoyed, what activities they carried out during the year and gave tips for the pupils to carry out the role this coming year. Halton Borough Council’s Executive Board Member for Transportation, Cllr Stan Hill, said: “There has been a huge take up of the scheme once again this year which is a successful partnership between the agencies and helps to promote a wide range of safety messages for pupils and their families”. Halton Borough Council Michelle Simpson Road Safety Officer said “The JSO scheme helps us make a difference so everyone stays and feels safe in the area where they live”. Next articleSylvia is adult placement hero!